I’ll be honest, I had no idea who Fiorenzo Magni was until a few days ago. October 12 was the anniversary of his death – he lived to be 91 years old and passed just three years ago. 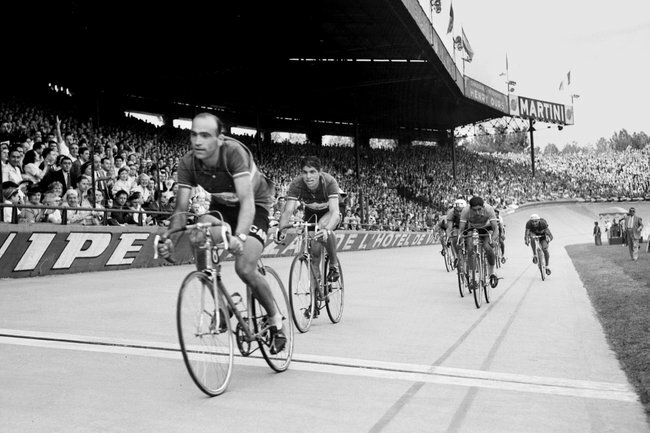 Magni was a legendary road cyclist, with one of his many career highlights being an astounding three overall wins at Giro d’Italia among many other successes in the world of cycling. Not only that, but he was a great salesperson, convincing Nivea to become the first ‘extrasportif’ (non-bicycle industry) title sponsor of a professional team and later opening a successful (and I believe still thriving) auto-dealership when his professional cycling career ended. 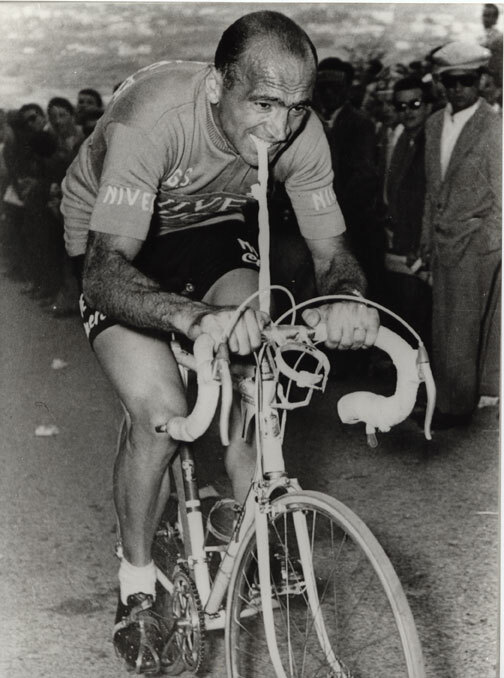 One of the most notable images of Magni is the one pictured here, from a the Giro d’Italia 1956, his last race as Pro. In stage 12, he had a crash and broke his left clavicle. The docs suggested he not continue, but he didn’t consider quitting. He showed up the next day, rode like this, with an innertube clenched in his mouth to hold and stabilize the handlebars, and took 2nd place overall in the race. He speaks to the event in this extensive interview. I can be almost certain that Magni is not remembered by his family and friends by how many medals he won, or yellow jerseys he wore, but by his character through both the wins, and the losses. It’s interesting to me that when you research Magni, this quote is one that pops up multiple places. There is no way for him to know, looking back on all his years, how he would be remembered. That being said, it is obvious he took great pride and incredible passion in his craft, and in overcoming adversity – and the documentation of that will live forever. Proof that what you say and do can – and will – still matter long after you are gone. I hope that I am able to handle defeat the way this guy was. 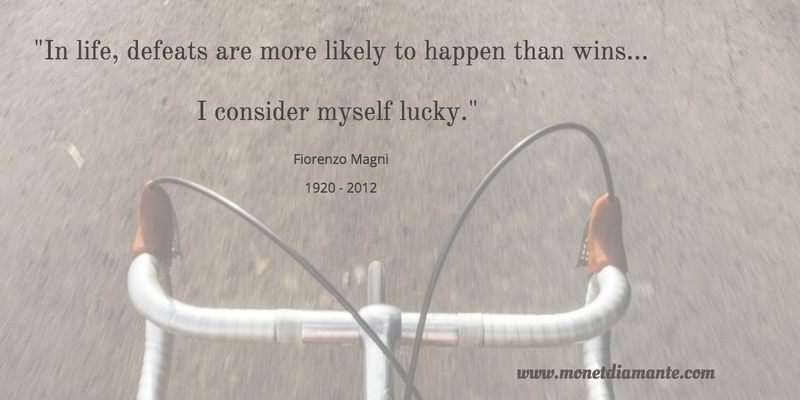 May Fiorenzo Magni’s legacy of gratitude, grace, and passion for cycling, live on forever. We live in a world where what you say and do will matter more in 10 years than it does right now. You are Creating Your Legacy TODAY. Act accordingly.